London and Oslo share prices delayed by 15 minutes. 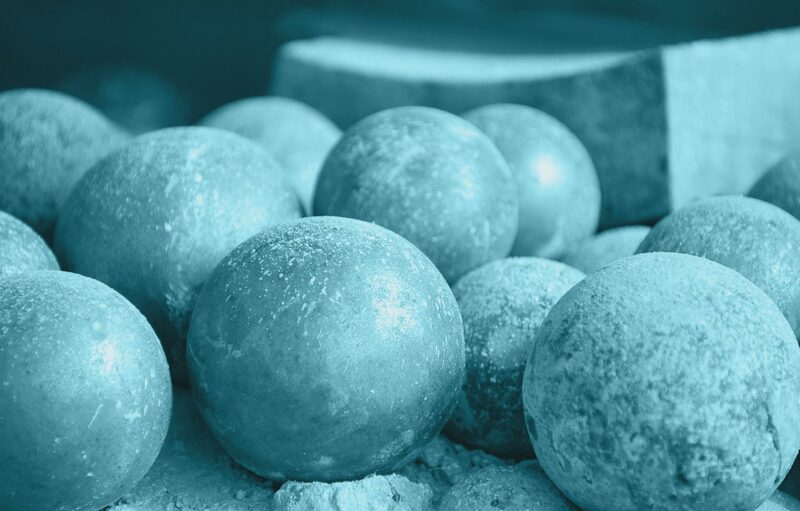 Our operations in Burkina Faso are located within a highly prospective land package of over 1,600 square kilometres in the Bélahouro district approximately 220 kilometres north-east of the capital, Ouagadougou. The Bélahouro district is on the eastern edge of the Birimian greenstone belt. The Inata Gold Mine operates within a defined mine licence area where resource development is also ongoing. Outside of the mine licence area, we have exploration permits over a land package covering more than 1,600 square kilometres, which is referred to as the Bélahouro area. Extensive exploration work is ongoing within this area. 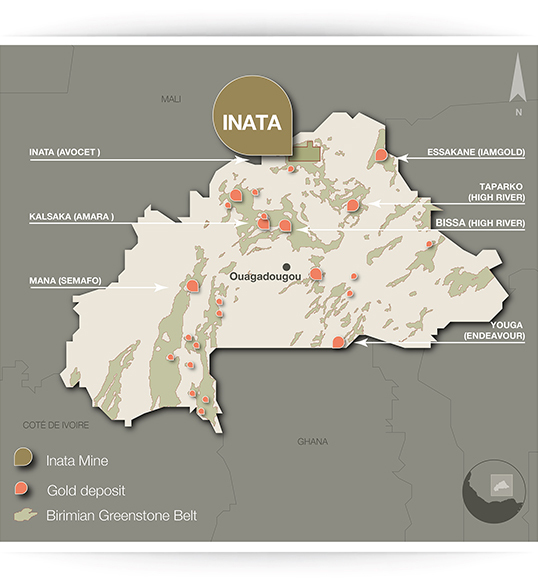 The Inata Gold Mine is 90% owned by Avocet and 10% owned by the Government of Burkina Faso. The mining code of Burkina Faso entitles the state to a 10% ownership of a mining operation on a free carry basis. Avocet acquired its interest in Inata through its acquisition of Wega Mining in June 2009. The mine was commissioned that year and first gold was poured in December 2009. The current mine licence extends to 2027. At Inata, mineralisation occurs within a well-defined shear zone marking the boundary between the granitic and volcanic rocks of the Damba-Inata Domain in the west and the Sona Sedimentary Basin in the east. Gold mineralisation occurs within a sub-vertical shear zone that cuts along folded carbonaceous shales that are sandwiched between sedimentary and volcanic rocks. Quartz-feldspar porphyry dykes intrude along the shear zone and are contemporaneous with the later stages of gold mineralisation. Gold mineralisation is always linked to quartz veins (boudinaged, folded or brecciated quartz veins) or disseminated in haematitic alteration haloes around quartz-carbonate-albite veins. The Inata gold deposit is deeply weathered with the base of complete oxidation extending down to depths of 60m. A transitional zone of moderate oxidation extends down to more than 150m depth. Inata, including Souma, presently consists of a Mineral Resource of 4.2 million ounces and an Ore Reserve of 0.33 million ounces. The average grade of the mineral Reserves is 1.92 grams per tonne. The Inata Mine has six open pits with mining currently focused on the North, Central and Far South pits. Mining is undertaken at Inata by conventional open pit methods using three owner-operated fleets of mining vehicles. The mine licence covers an area of 39 square kilometres and extensive potential exists to increase the resource at Inata within this area. Drilling within the mining licence, and adjacent areas, has focused on expanding the known mineralisation at along the Inata and Minfo trends. The Bélahouro district includes, in addition to Inata, eight exploration licences held by Avocet. In the east of the Bélahouro region an important gold-bearing contact exists at the Fete Kole Volcanic-plutonic boundary with the Sona Sedimentary Basin to the east. This contact is called the Souma Trend on which we are developing the Souma Project. Souma is an advanced exploration gold project located about 20 kilometres east of the Inata mine. Geologically, Souma comprises north-south to northwest-southeast striking shear zones that host five mineralised prospects – Miilam North, Miilam Central, Miilam South, Boulili, and Dynamite. Collectively, the mineralisation within these prospects occurs as semi-continuous quartz vein systems affiliated with local shear zones. Mineralised zones occur over a 16 km strike length gold-in-soil anomaly, which is considered to be part of a larger 30 km long north-northwest striking structure. The Souma project has a Mineral Resource of 0.7 million ounces.